This report is compiled to give the public an inside look at the illegal and barbaric practices being administered by the Indiana Department of Corrections (IDOC). As one of the inside coordinators of the IDOC-Watch and survivor of twenty years in solitary confinement, it is my job to report the truth. We bridge the obvious gap that exists between society and ourselves when we share with the outside what they are doing to us. So it begins. This report will cover three specific topics: 1) Mental illness as a result of solitary confinement; 2) Policy on staff assaults meant to keep us in prison for life; and 3) New mail policy meant to isolate us from our supporters. Since the early days of incarceration, many have been sent to prison already suffering a host of disabilities, including drug addiction and mental illness. 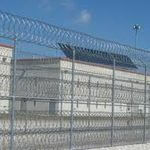 Once a person is incarcerated, the prison environment itself causes unavoidable stress upon the body. Finally, the brutal living conditions, which are forced upon us, create a host of psychological issues. These include nightmares, heart palpitations, “fear of impending nervous breakdowns”, overwhelming paranoia, aggressive fantasies, and impulse problems. Amerika, with 5% of the world’s population, holds 25% of its prisoners, a great many of whom suffer from mental disabilities. Faced with the need to regiment prisoners’ lives, the oppressors devised a plan. That plan was the birth of solitary confinement units, undertaken never having considered the legal consequences or further psychological effects isolation would have on prisoners. Twenty-three years ago the State of Indiana, and the Indiana Department of Corrections (or better, perhaps, the Indiana Department of Corruption), placed me in solitary confinement. It was a long journey of survival that allowed me to be an eyewitness to human deterioration in its highest form. I can attest to insanity being manufactured by the state to eliminate any and all potential threats to what they feel were threats to the safety and security of the orderly operations of the IDOC. They did not anticipate that I would live or still be mentally stable after two decades in solitary. Ultimately, successful legal litigation compelled my release to general population. 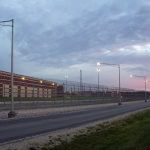 Two successful class-action lawsuits in Federal Court, and a ruling finding the IDOC at fault for violating prisoners’ 8th Amendment right to not be subjected to cruel and unusual punishment, forced them to open a multi-purpose mental health unit at the Pendleton Correctional Facility, located in Pendleton, Indiana. The court ordered that all prisoners suffering severe mental impairment must be removed immediately out of solitary confinement units across the state. Suicide inside solitary confinement units were occurring at an alarming rate prior to these lawsuits reaching the federal courts. Forty-eight percent (10 out of 21) of adult suicides took place in units that comprise less than 5% of the IDOC’s adult prison population. Moreover, the suicide records themselves point to the real dangers of solitary confinement for mentally ill and non-mentally ill prisoners. Having spent 20 years in solitary confinement, I have been diagnosed as suffering from: 1) Major depressive affective disorder, recurrent; 2) Anti-social personality; 3) Mixed hyperlipidemia; and 4) Benign essential hypertension. Prisoners with this diagnosis can never be held in long-term solitary confinement ever again. Upon our release, the state of Indiana is required to pay us disability checks for the rest of our lives. We at IDOC-Watch must act as an oversight watchdog organization to ensure that these guards or, better, “prisoncrats”, follow the rules the Court set out for them. As coordinator at Wabash Valley, I will do the following: 1) Ensure that prisoners’ rights are not being violated. When violations occur IDOC-Watch will expose it and demand immediate correction. 2) Ensure that all prisoners who suffer chronic/lasting illnesses such as hepatitis, cancer, diabetes, high blood pressure, or any severe medical issue receive proper and immediate treatment and accurate medications. 3) That every prisoner’s religious rights are not violated and that we support them against discrimination. 4) That we ensure that no staff be allowed to disrespect us without their actions being exposed to superior staff. 5) That IDOC-Watch start interviewing active prisoners and networking, with those demonstrating righteous conduct deserving the support of IDOC-Watch. In the past 30 years, I have seen and been myself involved in situations where someone got assaulted. Prison is not a nice place. At the same time, those in charge of enforcing policy, rules, order, and discipline in many cases violate those same policies, rules, and executive directives. In 2007, while I was still inside the SCU-Unit, I was blatantly manhandled and disrespected by three prisoncrats. I responded in self-defense and once it was over, I was charged with three battery charges (internally) on three individual officers. They started it, and I ended it. Then they gave me three years in disciplinary segregation, plus deprived me of three years of good time, extending my time by three years. The new law here in Indiana Courts forcing the imprisoned to serve 85% of their sentences for violent offenses is causing a spike in violence in Indiana prisons. The realities encouraged by this new policy 17-09 revokes the past policy that stipulated that we could earn most of our deprived credit time back. Now, it is likely that you will die in prison for any violence committed against an officer. For example, if I have ten years clear of any negative conduct, one staff assault will cost me ten years, causing me to go back to sequence as if I am starting my sentence all over. That is an absurd punishment. While meant as a deterrence, this policy directive gives officers an unchecked power to alter our lives forever. At the time of this writing, we are conducting research to see if all of this is legal or not. For countless years, prisoners have been targeted by prisoncrats for resisting the abuses of authority bestowed upon these people. Officers would use a malicious conduct report to get an inmate moved to segregation. They would also file to interfere with our earliest projected release dates. In these directives, they instructed officers filing the conduct report to be “clear” in the description of the injury or “serious bodily injury.” They thus encouraged officers to trump up these assaults and write them so there was no way that their charges could be refuted, ensuring we will be found guilty by the conduct board. To monitor situations involving all conduct reports of staff assaults by prisoners, with the hope of ensuring that staff is not provoking situations so that they can disturb prisoner release from prison. To monitor staff conduct to ensure no unchecked behavior is occurring. That they are not violating the law or the 8th Amendment against cruel and unusual punishment. 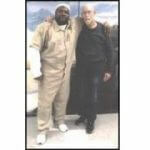 We have to educate ourselves, and our comrades, on the many policies and executive directives that can help prisoners. For example: Policy 04-03-103, “Information and Standards of Conduct for Departmental Staff”. This is the most important policy that dictates the dos and don’ts of all members of the IDOC. Knowing it has empowered me in many ways, and our classes will teach policy awareness based on these regulations. The ODOC has once again enacted a repressive/directive policy on April 1, 2017, due to what has been coined an influx of synthetic drugs being sprayed on incoming mail. I requested to have access to any records from the Office of Intelligence and Investigations that would show or reveal that this has become a problem. Their reply was that there was no record of situations of trafficking through the mail. So we have some current information from them to indicate that the drug issue with the mail isn’t significant enough to keep records of it. This policy is responsible for almost crippling my ability to distribute my writing or receive other printed matter. A lot of cards from my family that I receive yearly have been confiscated, and I had to return them. A lot of people who write me on computer-printed no-line paper are now not allowed to do so. This is very disappointing and discouraging to new supporters and friends who for years have used no-line personal stationary. Somebody writing me for the first time who receive their letter back will be so disappointed. They may never want to write me again. We are going to file, and exhaust, every grievance we can to establish a viable claim to present to the federal courts. They have subjected our families, supporters, friends, children, and companions to unfair hardship, who are not engaged in pushing any contraband through the mail system. From a legal perspective our families, friends and comrades represent a protected class under the 14th Amendment. Collectively, we all together represent a force. Armed with the right information, we can effectively oppose this new policy directive. There is not significant enough documentation readily available to warrant a ban in our incoming mail. Encourage all comrades and members to educate and study the mailroom policy so that it is activated and used properly. That any challenge to this policy be denounced for being overtly repressive. That confiscated letters written on no-line paper be copied and the copy sent to the prisoner. The original letter can be discarded. That all cards be inspected by whoever is qualified to determine if they contain synthetic drugs or not. If no drugs are detected, the card should be given to the prisoner to whom it belongs. That we be allowed to receive printed matter copies of our own personal writings, i.e., our essays, short stories, poetry, complaints, etc. as long as it is ours. When we struggle collectively to achieve an objective, we will succeed. We must not relent. Together as an organization we can expose the injustice of repressive policies that are meant to be used as weapons against active prisoners fighting to have our rights respected. Let this be my contribution to bridge the gap between the inside and outside. All power to the people! Repression breeds resistance! Suggested books to read: 1) The Struggle Within, by Dan Berger, 2) 23/7: Pelican Bay Prison and the Rise of Long-Term Solitary Confinement.